Hey Guys, In this Post We are gonna tell you about Best Call Recording apps for Android which you could use on your phone for recording phone calls. We are all aware that Android is the best operating system when it comes to mobile devices. It is also one of the most popular and widely-used operating systems in the world! It has many features which Windows or IOS doesn’t offer. We have features such as extreme customization, OTG support, Headphone jack 😛 (It is indeed necessary) SD Card support, open-source to create your version of Android, Gestures and a whole lot more. Not satisfied? I know, you’re looking for something that is helpful. Something that will be of great use, either with your Ex or with someone dear. 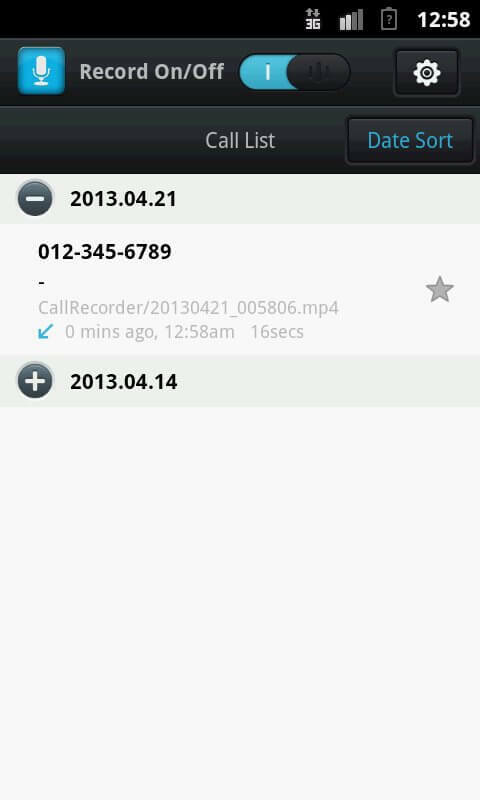 That’s the call recording feature of Android. We don’t know whether this feature is available for IOS or windows, but it’s available for Android. With this feature, you can record all kinds of calls you make and receive. It is one of the most useful features.You can catch someone who’s telling lies, and you can replay the voice of your loved ones. Now, you might be searching this feature on your phone. Sadly, only a few phones come built-in with this feature. Don’t worry as we’ll now show you how to enable the call-recording feature on your device. It’s not tough, neither requires any major software change or root. You just have to download a call recording app, and the rest will be handled by the app itself. We’ve got you covered. Among the millions of apps on play store here are the top 10 call recording apps you should be using. Also have a look at how to remove duplicate media files on WhatsApp. The First on this list is Automatic Call Recorder ACR. It records all your phone calls and conversations automatically once you set it up. The process is simple and quick. It also offers various audio formats to choose from. You can choose either 3GP, WAV, MP4 or AMR. This app has a free and Pro Version as well. We recommend you to try the free version, and if you’re happy, you can shift to the Pro version by paying just ₹140/-. Don’t get confused by the names as all the apps look similar. This one is from a developer named Application. 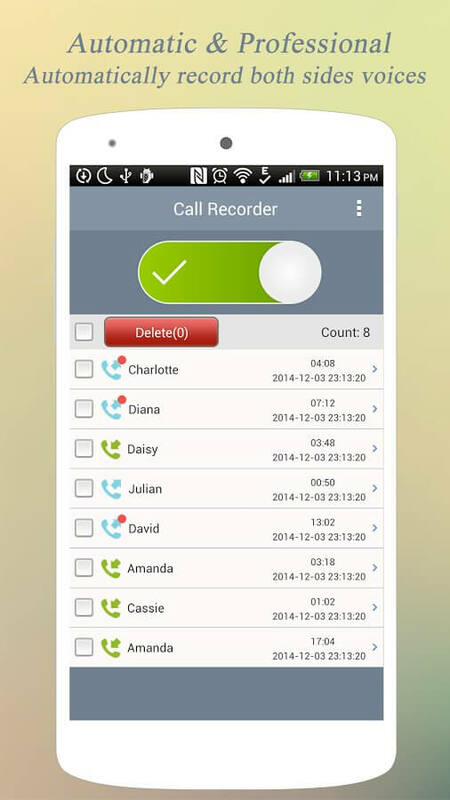 With this app, you can Record any phone call you want and choose which calls you want to save. Sometimes you may forget to take backup and delete your recordings. But, if you’re using this app, you need not worry as it allows Google Drive and Dropbox integration. It gets saved directly on the cloud itself. This is one of the best features of this app. Let’s consider you want to record a call. But most of these call recording apps are not compatible with your device because you’re using an ancient device which is probably running on Android 2.3 Gingerbread. Then this app is for you. Super Call Recorder serves your purpose as it’s compatible with any android device having Android version above 2.1. As the name says, The app is smart, We tell you how. Other apps may prompt you before the call asking you to record the call. You may press “YES” once. But, what if you are taking calls one by one for a long period? Is it tiring to press “YES” all the time right? This app will do the job automatically. This app also have some advanced features like automatically delete recording after certain time, set pattern lock in the app etc. You can know more about it by click on download button from below. This app is by developer Quantum4u. It has got over 5,000,000 downloads on Play Store and has over 2 Million+ Active users worldwide. It Supports 3GPP & MPEG4 formats as well. It allows locking your app with a passcode so that no one can access your personal recordings. This app let you record calls in H.D Mode. Best part about this app is it allows you to record calls of unlimited length. Means you will be able to record calls with no duration limit. Also have a look at GBWhatsApp APK for Android. 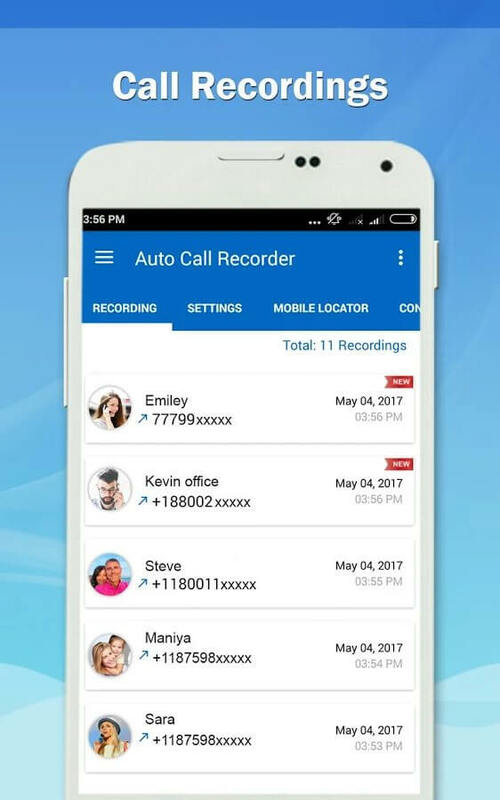 It is one of the best call recorders available on Play Store. Why? It has options such as delayed recording, password protection for all your recordings etc. It can exclude certain numbers and mark numbers as important so that the recordings from these numbers always get saved. The Pro version can email your recording to your mail. Which is a feature none of the apps offer on play store? 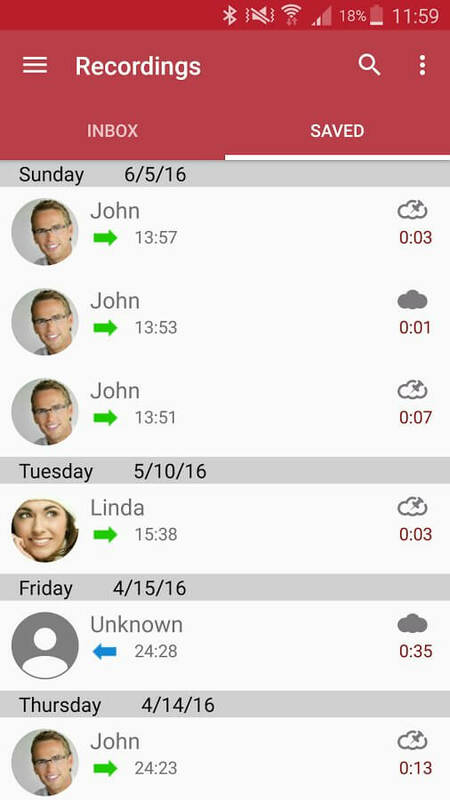 Call Recorder gives you the easiest way to record all your phone conversations and manage them. The best part of the app is it lets you organize all the call records as a list by time, by names or by dates. This makes it easy to find the important contact record you’re looking for. Don’t forget to have a look at WhatsApp Plus APK for Android. This app is very easy and simple to use. Simplicity of this app make this something different from other apps. If you like very simple & clean app, this app will be best for you. This UI of this app is a little different from all the other apps. Coming to the features, you can record Crystal Clear MP3 Audio format. It also has various options like “adding to favorite,” manual Dropbox synchronization, and advanced memory management. Advanced memory management is a special feature which allows the user to limit the memory used by this application. Various intuitive options such as shake to record and a whole lot more. This is not the one which we discussed earlier. As I already said, all these apps are similarly named to confuse the user. This One is by OnexSoftech and it lets you record in «amr», «mp4», «wav» with a choice of recording quality. Let’s Suppose We don’t want to save few conversations like a missed call or a call which is less than “N” Secs. You can easily configure the app to suit your needs. The last one on this list is the Automatic Call Recorder As the name says, you can record your calls on auto-pilot. he UI is simple and clean, and it has also been tested on jio 4g voice, and it works perfectly alright. Also have a look at How to Download WhatsApp stories on Android. This app have some cool features like shake to record, pin protection, cloud backup etc. This app is surely worth trying at least once. You can download it via download link provided below of this post. So guys, these were the some of the top call recording apps for Android which you can use on your phone. These apps can help you to record your secret phone calls on your phone. Make sure call recording is legal in your country for using these apps. Thanks for reading this article and make this blog awesome. Stay tuned at ModApksDownload for more cool apps collections like this.